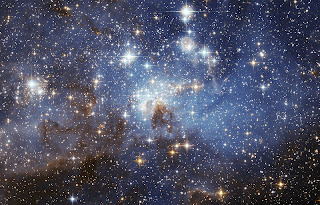 your star is shining from above." what the rest of us have heard. Was it really what I wanted? have you come to comfort me? Have a happy, stress-free holiday! this song was finished on Three Kings Day (6 Jan) of 2009 and would be recorded as the first song in Brent's "52 Songs in 52 Weeks Project". It is not the only holiday song he has written, but it is the only song he may ever have to write about Christmas in this day and age. Life itself is more sacred than the trappings of society. The gift of love is more precious than anything that can be bought or sold. Receiving love is what sustains all of us for we do not live on bread alone. Image 1 is the LH 95 star forming region of the Large Megallanic Cloud, taken by the Hubble Telescope. 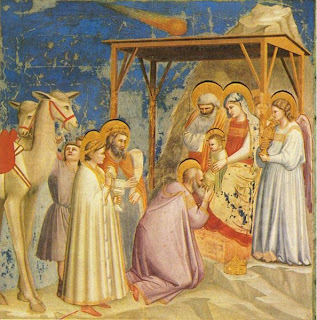 Image 2 is the 'Adoration of the Magi' by Florentine painter Giotto di Bondone (1267-1337).